Nonprofit corporations play a vital role in protecting and maintaining the Good Life in Nebraska. Charitable organizations and their board members, along with countless volunteers and donors, provide essential services all across our state, and the Nebraska Attorney General’s Office works with the charitable sector to ensure that those services can continue to improve the quality of life of all Nebraskans. The following information is designed to help nonprofit corporations, directors, members, and employees understand their rights and responsibilities in Protecting the Good Life. “The privileges provided by law to public benefit corporations, and other charitable institutions, carry a corresponding obligation to be accountable to the public for the actions such institutions undertake.” Gilbert & Martha Hitchcock Found. v. Kountze, 272 Neb. 251, 259, 720 N.W.2d 31, 37 (2006). Nebraska nonprofits receive favorable tax treatment in exchange for heightened scrutiny. Through statute and parens patriae common law, the Nebraska Attorney General’s Office is charged with overseeing the state’s nonprofit corporations to ensure that charitable assets are appropriately used. This duty to protect charitable assets includes oversight of certain nonprofit corporation transactions such as: dissolution of a public benefit or religious nonprofit corporation; sale of assets other than in the regular course of activities by a public benefit or religious nonprofit corporation; and merger by a public benefit or religious nonprofit corporation with another entity. Please note that oversight of the Attorney General’s Office generally does not include resolving internal disputes. The Attorney General’s Office typically only initiates action against a nonprofit corporation and/or its directors when it appears that a misuse or abuse of the corporate charter is operating against a substantive public interest. Internal disputes, often involving policy disagreements between and among members and directors, are often most effectively resolved informally, though in some cases they may be addressed through a derivative action. The drop down boxes below will direct you to more specific information regarding situations that nonprofit corporations in Nebraska may face and duties of the Nebraska Attorney General. This information is only a guide and is not a substitute for legal advice, as every nonprofit corporation is unique and will experience different circumstances and outcomes. This guide is provided only as a reference tool to assist nonprofit corporations and board members in performing their duties and does not contain all of the provisions, exceptions, limitations and requirements of the law. For the exact requirements of the law, please refer to the Nebraska Nonprofit Corporation Act, Neb. Rev. Stat. § 21-1901 et seq. and other applicable statutory and common law. Although nonprofit corporations generally do not pay income tax, most (though not all) are required to file some version of Internal Revenue Service Form 990, the annual exempt organization return. The required version of Form 990 may differ depending on the size of the organization or if it is religiously affiliated. You can find more information about whether and what your organization must file at the IRS website. The state in which the foundation was incorporated or created. Additional tax information applicable to charities can be found online through the IRS and the Nebraska Department of Revenue (Nebraska Sales and Use Tax-Nonprofit Organization and The Nebraska Taxation of Nonprofit Organizations). Nebraska nonprofit corporations are required to register with the Secretary of State in order to incorporate as a nonprofit. Foreign nonprofit corporations may have to obtain a certificate of authority from the Secretary of State before transacting business in Nebraska. After the initial registration, nonprofit corporations must continue to comply with the periodic and situationally-specific filing requirements of state statute. Should a nonprofit corporation or charitable solicitor wish to initiate charitable fundraising in Nebraska, this does not trigger separate registration with the Nebraska Attorney General’s Office or the Secretary of State’s Office as long as other filing requirements have been met. Prior to 1996, the Nebraska Secretary of State’s Office registered charitable solicitors, but that law was repealed by a Nebraska Supreme Court decision. It is also important to note that certain Nebraska municipalities may have separate requirements for charitable fundraising. Please see the Nebraska Nonprofit Corporation Act, Neb. Rev. Stat. § 21-1901 et seq. and other applicable statutory and common law for specific requirements regarding the information above. Bingo, raffles, drawings, pickle cards, and even duck races are all examples of gaming utilized by nonprofit corporations as fundraisers for their organization or a charitable cause. Because these events are a form of gambling, they are regulated by the Nebraska Department of Revenue Charitable Gaming Division and may impact a nonprofit corporation’s tax exempt status with the Internal Revenue Service. To host one of these events, a nonprofit corporation often must obtain a license from the Nebraska Department of Revenue’s Charitable Gaming Division. Further, proceeds from the event could be subject to a gaming tax. For more information visit the Nebraska Department of Revenue Charitable Gaming Division website. Additional tax information applicable to charities can be found online through the IRS and the Nebraska Department of Revenue. What if the president of your board of directors owns a printing business and offers to print, fold, and mail fundraising materials at cost? Can the nonprofit corporation take advantage of the offer? This is a classic example of a conflict of interest transaction, which is defined by Neb. Rev. Stat. § 21-1987 as a transaction with the nonprofit corporation in which a director of the corporation has a direct or indirect interest. Board members have an absolute duty to act in the best interest of the nonprofit corporation, and conflict of interest transactions often pit the interest of the organization against the interest of a board member. As such, conflict of interest transactions must be handled judiciously by both the conflicted board member and the organization. While transactions between a nonprofit corporation and individual board members, their families, and the businesses they own and operate should often be avoided, there are times when a conflicted transaction is in the best interest of the nonprofit corporation. A corporation can approve a conflict of interest transaction; however, it must take additional steps to do so. These steps ensure the transaction is in the best interest of the nonprofit, and that it does not simply generate a profit for a board member. Usually, this requires additional disclosures regarding the conflict and approval by a majority of the corporation’s board of directors who do not have a legal interest in the transaction. Specific requirements vary according to the type of nonprofit corporation. Furthermore, many nonprofit corporations choose to adopt conflict of interest requirements more stringent than those imposed by law. If this is the case, the nonprofit corporation must also follow their adopted requirements. Nebraska law requires nonprofit corporations keep as permanent records minutes of all meetings of its members and board of directors, a record of all actions taken by the members or directors without a meeting, and a record of all actions taken by committees of the board. When a nonprofit corporation is considering a conflict of interest transaction it should take care to ensure meeting minutes reflect all measures taken to ensure the transaction is in the best interests of the corporation, meets the nonprofit corporation’s conflict of interest policy, and record specific votes to approve or disapprove the transaction. Finally, board members should know that voting to approve a conflict of interest transaction that is unfair or harms the nonprofit may subject them to personal liability. As such, board members and nonprofit organizations should be wary, and extremely diligent, when evaluating and voting on conflict of interest transactions. In addition to the Nebraska Attorney General’s Office, the Internal Revenue Service is also interested in conflict of interest transactions and policies (IRS website). There are times when either members or directors of a nonprofit corporation may find it necessary to turn to our court system, by way of a derivative suit, to resolve issues regarding the nonprofit corporation. Pursuant to Neb. Rev. Stat. § 21-1949, a proceeding may be brought in the right of a domestic or foreign nonprofit corporation to procure a judgment in its favor by: (i) Any member or members having five percent or more of the voting power or by fifty members, whichever is less; or (ii) any director. In any such proceeding, each complainant shall be a member or director at the time of bringing the proceeding. To give the Attorney General the opportunity to determine whether its participation in the proceeding is necessary to protect the public interest, the complainants shall notify the Attorney General within ten days after commencing any proceeding if the proceeding involves a public benefit corporation or assets held in charitable trust by a mutual benefit corporation. As the Nebraska Supreme Court has stated, “[e]ffective notice to the Attorney General is an essential prerequisite to proceeding in any action involving a public benefit corporation for which such notice is required.” Gilbert & Martha Hitchcock Found. v. Kountze, 272 Neb. 251, 259, 720 N.W.2d 31, 37 (2006). The Attorney General has oversight of charitable institutions and assets in Nebraska pursuant to its statutory and common law authority. Therefore, in many situations, notice is required to be given to the Attorney General to facilitate this role. Pursuant to Neb. Rev. Stat. § 21-1918, the Attorney General shall be given notice of the commencement of any proceeding that the Nebraska Nonprofit Corporation Act authorizes him or her to bring but that has been commenced by another person. 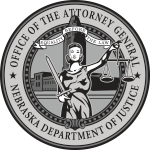 Furthermore, whenever any provision of the Nebraska Nonprofit Corporation Act requires that notice be given to the Attorney General before or after commencing a proceeding or permits him or her to commence a proceeding: (1) If no proceeding has been commenced, the Attorney General may take appropriate action including, but not limited to, seeking injunctive relief; or (2) If a proceeding has been commenced by a person other than the Attorney General, the Attorney General, as of right, may intervene in such proceeding. Please assist in protecting Nebraska’s charitable entities and assets by providing the Attorney General notice when required. There are many notice requirements to the Attorney General’s Office in regard to charitable entities and assets. Please see the Nebraska Nonprofit Corporation Act, Neb. Rev. Stat. § 21-1901 et seq. and other applicable statutory and common law for specific requirements regarding the information above. There are times when a nonprofit corporation in Nebraska either cannot or will not voluntarily dissolve, and therefore it must be dissolved by a court through a process known as judicial dissolution. Judicial dissolution can occur when a nonprofit corporation has acted in ways that are contrary to its charitable purpose. Neb. Rev. Stat. § 21-19,141(a)(1) allows a district court to dissolve a nonprofit corporation in a proceeding brought by the Attorney General’s Office if it is established that the corporation obtained its articles of incorporation through fraud, the corporation has continued to exceed or abuse the authority conferred upon it by law, the corporation is a public benefit corporation and the corporate assets are being misapplied or wasted, or the corporation is a public benefit corporation and is no longer able to carry out its purposes. The corporation is a public benefit or religious corporation and is no longer able to carry out its purposes. Regardless of who is bringing a suit, prior to dissolving a corporation, a court will consider whether there are reasonable alternatives to dissolution, whether dissolution is in the public interest if the corporation is a public benefit corporation, and whether dissolution is the best way of protecting the interests of members if the corporation is a mutual benefit corporation. Prior to giving approval to the nonprofit to transfer assets, the Attorney General’s Office will review the dissolution materials to determine if the procedures used and the asset distribution plan are proper and in accordance with state law and the corporation’s articles of incorporation and bylaws. Generally, a nonprofit corporation can only transfer its assets to other nonprofit corporations, and some assets may be restricted to a specific purpose. Furthermore, it is important to note that if a public benefit or religious nonprofit corporation’s organizational documents do not state where assets should be transferred upon dissolution, assets must go to another charity engaged in substantially similar activities to that of the dissolving nonprofit corporation. Finally, after assets are transferred following approval of the dissolution, the nonprofit board must send the Attorney General a list of those who received the nonprofit corporation’s assets (other than creditors). The list must include the address of each person or entity that received assets and the assets each received. A public benefit or religious nonprofit corporation may contemplate merging with another entity for many reasons, including enhancing its mission and increasing its ability to serve the community. For a nonprofit corporation to merge, certain statutory requirements must be met pursuant to the Nebraska Nonprofit Corporation Act, Neb. Rev. Stat. § 21-1901 et seq. These requirements vary depending on what type of entity the nonprofit corporation is merging with. Generally, the purpose of nonprofit law regarding mergers is to ensure that the value of both tangible and intangible assets of a nonprofit corporation, including goodwill, will ultimately remain with a nonprofit corporation. Should a public benefit or religious nonprofit corporation wish to merge with certain types of entities, including a for-profit corporation, it will need prior approval of the district court in a proceeding which the Attorney General has been given written notice, Neb. Rev. Stat. § 21-19,119. The Nebraska Nonprofit Corporation Act, Neb. Rev. Stat. § 21-1901 et seq. can be found on the Nebraska Legislature’s website. Directors of nonprofit corporations provide a vital service to our state. They expend time and energy to operate Nebraska’s nonprofit corporations, which serve our citizens in numerous different ways and make our state a better place to live. Those who accept the position of a director of a nonprofit corporation have many fiduciary duties to fulfill, including the duty of good faith, the duty of care and the duty to act in the best interests of the corporation. The Attorney General’s Office is tasked with oversight of Nebraska’s nonprofit corporations which includes oversight of their directors. When a director of a public benefit nonprofit corporation is not fulfilling his/her fiduciary duties, the Attorney General may petition the court to remove the director pursuant to Neb. Rev. Stat. § 21-1977. In addition, a mutual benefit, public benefit, or religious nonprofit corporation itself, or its members holding at least ten percent of the voting power of any class, can petition the court to remove a director pursuant to Neb. Rev. Stat. § 21-1977. Should a public benefit nonprofit corporation or the members of this type of corporation elect to file this type of petition, they must give the Attorney General written notice of the removal proceeding. A final judgment has been entered finding that the director has violated a fiduciary duty and removal is in the best interest of the corporation. Neb. Rev. Stat. § 21-19,126 outlines the steps a nonprofit must take when selling assets other than in the regular course of activities. Among these steps is the requirement that a public benefit or religious nonprofit corporation must give written notice to the Attorney General twenty days before it sells, leases, exchanges or otherwise disposes of all or substantially all of its property outside of its general course of activity unless the Attorney General has given the corporation a written waiver of notice. A statement identifying the person or organization purchasing the assets and a description of any prior relationship between the nonprofit corporation and the purchaser. Information in addition to the aforementioned may also be needed for the Attorney General’s Office to complete its review. Once all information is received, the Attorney General’s Office will analyze the information and, if the transaction is appropriate, issue a no-objection letter to the nonprofit. The full text of the Nebraska Nonprofit Corporation Act can be found in Neb. Rev. Stat. § 21-1901 et seq. If a public benefit or religious nonprofit corporation dissolves it must give written notice to the Attorney General before or concurrently with delivering its articles of dissolution to the Secretary of State. The Attorney General’s Office will review the dissolution to determine if assets are properly distributed and the dissolution is carried out in accordance with state law and the corporation’s articles and bylaws. It is important to note that if a public benefit or religious corporation’s bylaws don’t state where assets should be transferred upon dissolution, assets must go to another nonprofit engaged in substantially similar activities to that of the dissolving corporation. Once a corporation has noticed the Attorney General of its dissolution it must wait 20 days to transfer assets unless, before 20 days are over, the Attorney General consents in writing to dissolution, or the Attorney General indicates he or she will take no action with respect to the transfer or conveyance. Finally, after assets are transferred following approval of the dissolution, the nonprofit board must send the Attorney General a list of who received the nonprofit’s assets (other than creditors). The list must include the address of each person or entity that received assets and what assets each received.